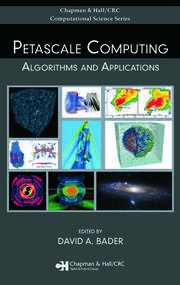 Written by high performance computing (HPC) experts, Introduction to High Performance Computing for Scientists and Engineers provides a solid introduction to current mainstream computer architecture, dominant parallel programming models, and useful optimization strategies for scientific HPC. 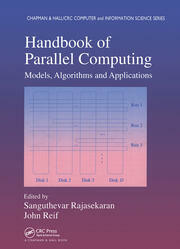 From working in a scientific computing center, the authors gained a unique perspective on the requirements and attitudes of users as well as manufacturers of parallel computers. The text first introduces the architecture of modern cache-based microprocessors and discusses their inherent performance limitations, before describing general optimization strategies for serial code on cache-based architectures. It next covers shared- and distributed-memory parallel computer architectures and the most relevant network topologies. 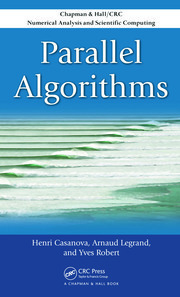 After discussing parallel computing on a theoretical level, the authors show how to avoid or ameliorate typical performance problems connected with OpenMP. They then present cache-coherent nonuniform memory access (ccNUMA) optimization techniques, examine distributed-memory parallel programming with message passing interface (MPI), and explain how to write efficient MPI code. 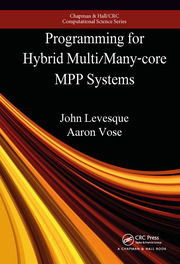 The final chapter focuses on hybrid programming with MPI and OpenMP. Users of high performance computers often have no idea what factors limit time to solution and whether it makes sense to think about optimization at all. 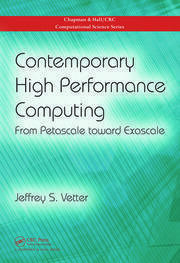 This book facilitates an intuitive understanding of performance limitations without relying on heavy computer science knowledge. It also prepares readers for studying more advanced literature. Georg Hager is a senior research scientist in the high performance computing group of the Erlangen Regional Computing Center at the University of Erlangen-Nuremberg in Germany. Gerhard Wellein leads the high performance computing group of the Erlangen Regional Computing Center and is a professor in the Department for Computer Science at the University of Erlangen-Nuremberg in Germany. 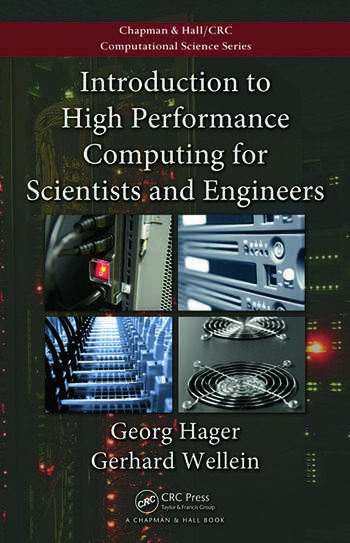 Georg Hager and Gerhard Wellein have developed a very approachable introduction to high performance computing for scientists and engineers. Their style and description is easy to read and follow. 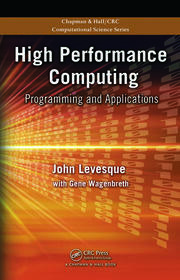 … This book presents a balanced treatment of the theory, technology, architecture, and software for modern high performance computers and the use of high performance computing systems. The focus on scientific and engineering problems makes this both educational and unique. I highly recommend this timely book for scientists and engineers. I believe this book will benefit many readers and provide a fine reference.